Currently, Mustangs MEND is just in the launching phases of our equine assisted learning programs. We were founded as a 501c3 nonprofit organization in June 2017. 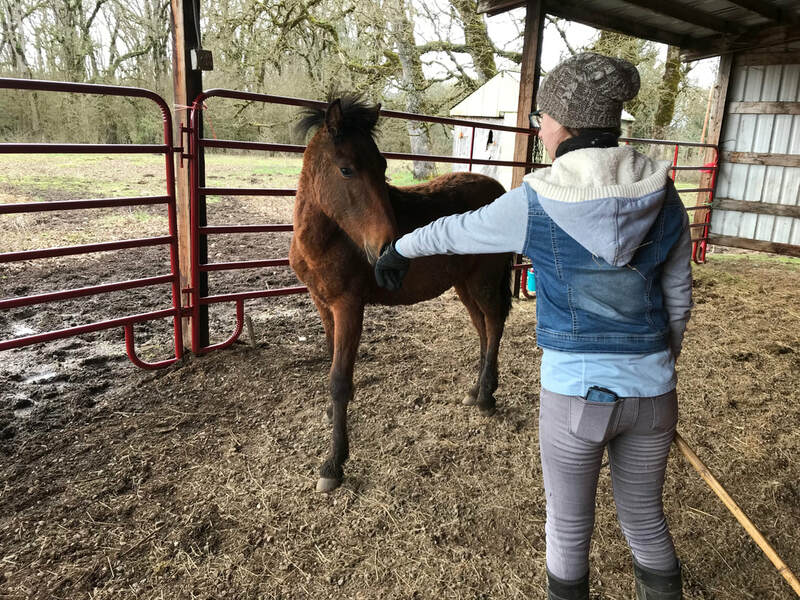 We are developing a curriculum of equine assisted learning activities that teaches participants to gentle wild mustangs and rehabilitate mustangs that have been neglected and abused. Participants do not need to have any prior horsemanship experience. Safety practices, basic handling skills, and advanced gentling techniques will be included in this healing journey. We would love volunteers, both in person and online! Currently, we have need of people to organize tabling at local events within the Corvallis and Albany area. We could also use grant writers, web designers, and social media gurus! We will also have need of mentor/trainers for our participants and horses. ​Please click the volunteer button to contact us. We encourage anyone interested to contact us with questions or comments regarding our programs and our organization. We would love to hear from our supporters and listen to your feedback as we develop and grow. ​Please click the contact button below to send us an email. Healing the hearts of humans and horses.